Race-DNA with street functionality in mind. That is where the new REV’IT! Spitfire Gloves land on the spectrum. 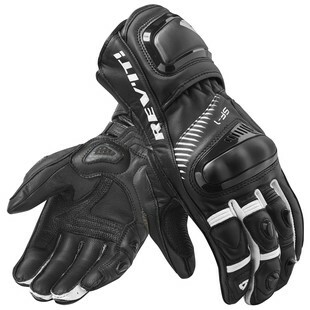 These new gloves from REV'IT! bridge the gap between the track focused Jerez gloves and the street-centric REV'IT! Stellar gloves. The Spitfire gloves include dual-comp protectors at the knuckles and the cuff for extra safety as well as elastic at the back of the hand and at the wrist to promote full range of motion. These gloves are perfect for the aggressive street rider who is thinking about trying his hand a few track days. In the end, it all comes down to usage. Some go hard on the track, some go hard on the street. Others go hard at both. Regardless, the REV’IT! Spitfire Gloves get it done.